Sussex Police is appealing for witnesses after a collision involving a car and a motorbike in Rottingdean this morning (December 6). Emergency services were called to the incident at Falmer Road at 7am, police said. 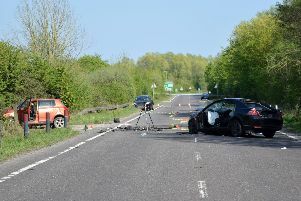 Sussex Police said its officers remain at the scene, and the road is currently blocked. Anyone who saw what happened is asked to contact police on 101@sussex.pnn.police.uk quoting Operation Helena.